It's been a while since I've posted! As all parents know, every day is busy--but some seasons are busier than others. My 8th-grader is currently rehearsing for the local children's theater's production of The Wizard of Oz, and my 4th-grader is playing basketball. Wow! I'm putting in the miles on the minivan. For the past few weeks, I've put off my blog post till the last minute, and then something invariably pops up, and the last minute becomes too late. This week, with Thanksgiving, I have had a few more moments of time, so HOORAY! 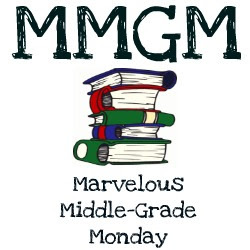 I get to do Marvelous Middle Grade Monday. The book I'm featuring is on the Oregon Battle of the Books list. Also, my son's 4th-grade teacher asks them to do a monthly book report. November's theme was Fantasy, so we read the book together and killed several birds with one stone. Another HOORAY! In a world of elite magic academies, weird and wonderful things happen when you’re sent off to public school . . . and put in the Upside-Down Magic class. For Nory, this means that instead of being able to turn into a dragon or a kitten, she turns into both of them at the same time—a dritten. For Andres, wonky magic means he’s always floating in the air, bouncing off the walls, or sitting on the ceiling. For Bax, a bad moment of magic will turn him into a . . . actually, he’d rather not talk about that. 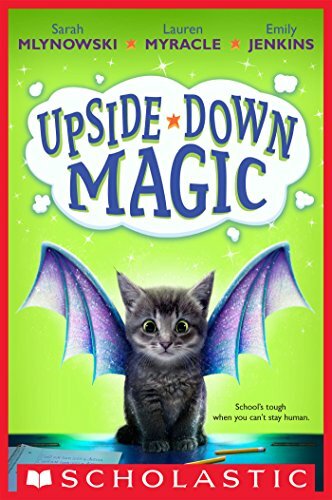 Nory, Elliott, Andres, and Bax are just four of the students in Dunwiddle Magic School’s Upside-Down Magic class. In their classroom, lessons are unconventional, students are unpredictable, and magic has a tendency to turn wonky at the worst possible moments. Because it’s always amazing, the trouble a little wonky magic can cause . . .
"Nory Horace was trying to turn herself into a kitten. The kitten had to be a black kitten. And it had to be completely kitten-shaped. It was the middle of summer. Nory was hiding in her family's garage. Kitten, kitten, kitten, she thought." This is a quick read, with an appealing main character (Nory) who comes from a successful magical family--her father is the headmaster of an elite magical academy--but who is cursed with being 'wonky.' Her talent, that of Fluxer, means that she should be able to turn herself into an animal at will, as well as control herself in her animal body. Nory can do neither. Her kitten becomes a bitten, or even a dritten (dragon/kitten), and once transformed she acts more animal than human. Comedy is a great part of this novel's appeal (imagine what happens when Nory turns into a skunkephant (skunk/elephant) when dealing with some bullies at her new school! I also enjoyed the camaraderie between the so-called outcasts, and the way they eventually come to accept their differences and see that their are strengths in their "wonkiness." (Having a lovely, affirming teacher helps.) I was a little concerned that Nory's father basically seems to ignore her once she leaves for the less prestigious school, but maybe this abandonment is address is later books in the series. The 4th-grader gave it a thumbs up! "I wrote this book with Lauren Myracle and Emily Jenkins, two brilliant writers who happen to be two of my closest friends. How do three people write a book together? In a nutshell: I outline, Lauren writes the first draft, and Emily edits. But we all do a lot of everything. The best thing about working with friends is that because we love and respect each other, it's completely okay to share ridiculous ideas. In fact, it's encouraged. The best scenes come from ridiculous ideas. Our friendship gives us the freedom to jump as high as we can-and to trust that we are each other's built in net. Just in case any of the ideas are a little too upside-down." Sarah Mlynowski, Lauren Myracle, Emily Jenkins. Here's hoping that things don't go back to being so hectic, and I'm able to be back next week. Ciao! Sounds like a fun book for younger readers. And I can totally relate to how busy like gets when you have kids, especially when they get involved in activities like your kids are doing. Glad you're enjoying the experiences with them. It was interesting to read about how the authors collaborated. Thanks for sharing. I can't imagine writing a book with two other authors but if it seems to work for these three. I will definitely be checking this one out. Keep the minivan gassed up and enjoy all the fun activities your kids are involved in. This book sounds great! I've read some of Lauren Myracle's books and I've heard of the other authors. Thanks for the review! I like that it's a quick read and that it's magical. I'm blown away that three writers could do this. That's remarkable. Thanks for the post. I remember other people reviewing this (because that cute dritten on the cover is unforgettable!) It sounds like a lot of fun; I'm always up for the combination of magic and humour.